Draymond Green on Friday told everyone the Golden State Warriors handed the Houston Rockets a game but Sunday would be different. 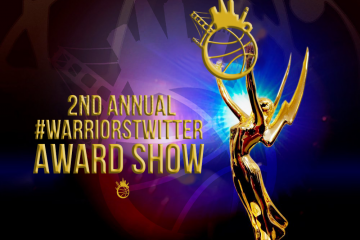 There was little doubt the Warriors would show up. There should have been less doubt Stephen Curry would figure out his shooting slump sooner rather than later. After the game, Steve Kerr called out his toughness as the most underrated aspect of his greatness. You don’t just win two MVPs, two titles, and become the greatest shooter in NBA history without the ability to rebound from the worst of times. And Games 1 and 2 certainly did not qualify as that. So when Stephen Curry made his mark in this year’s highly anticipated Western Conference Finals, the reality became clear: this series is over. 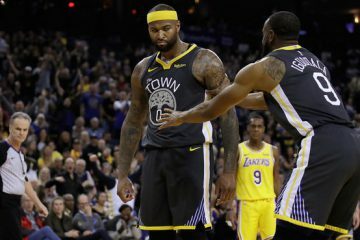 The Warriors dealt knockout blows in two distinctly different ways that exemplify just how impossible the Warriors are to defeat, especially at Oracle. In a first half that saw a struggling Steph miss completely wide open shots, even from the corner, the combination of an incredible and just enough offense from Kevin Durant and the role player scorers was enough. They took an 11-point lead to the third, and dropped a 10-0 run right out the gates on the strength of defensive stops, backcuts, and a flow that the Hamptons 5 has perfected on offense. An Oracle crowd that was characteristically tense in the opening stages loosened up. 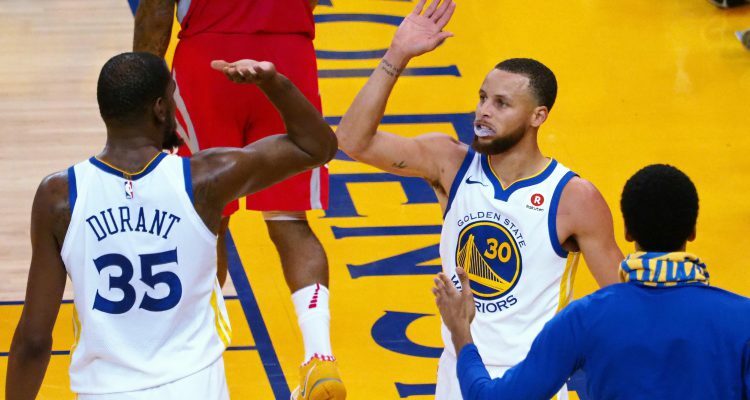 Draymond Green was engaged again in absolutely annihilating and erasing Clint Capela. Kevon Looney came in to protect the rim against the conglomerate of Houston role players and even block a shot out at the line against Eric Gordon. Jordan Bell and Nick Young got on the court and didn’t mess up. Klay Thompson wasn’t there again on offense but his defense on Harden and Paul was lockdown. And did you expect anything different from Iguodala on nearly 4 days of rest? 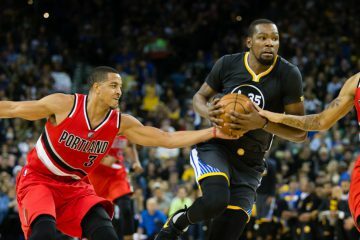 The great stabilizer on offense is Kevin Durant and before Steph’s theatrics, was the unquestioned player of the game, and of the postseason. The Rockets couldn’t handle the first uppercut, and unfortunately, the Warriors were just getting started. A couple layups to start the third pushed the door open just a crack. Another 3 from 30, with Steph using his full body to propel his shot forward — a rare move given his great form — and the floodgates exploded. He danced on James Harden, who just stood there like he has all series. 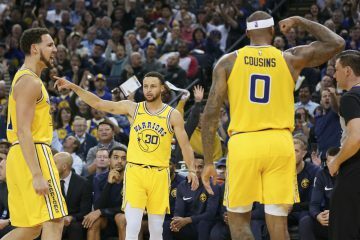 But without much space, Steph went Peak Steph mode, simply flicking up a long 3, turning around, shimmying, and letting loose a series of screams as Mike D’Antoni called timeout that felt more like more visceral than anything in the last two season. The Warriors faced barely any adversity last season, and even though they are up 2-1 in the series, Steph has had to battle more than he has since the 2016 Finals. He stood at halfcourt, waved his arms, slapped his sides a few times to exhort a crowd thirsty for a prophecy fulfilled. He is back. 7-7 from the field, 18 points, and a Rockets team vanquished by a flamethrower they couldn’t hold for long. The Warriors ended up allowing 85 points, scoring 126 themselves, and dealing the Rockets their worst loss in postseason history. They beat them two ways, with their defense, and then even more demoralizing, with the offense. Daryl Morey created this 65-win 1-seed monster to combat against even the greatest the Warriors could do. And in 12 minutes, everything is wrapped up. James Harden and Chris Paul snickered at each other in answering a Steph question at the postgame presser. D’Antoni called his team soft. The Rockets have the juice to make these games close again. But the Warriors have realized, perhaps a long time ago, but certainly now, that no matter what Harden and CP3 has in the bag that their best players are simply better. The Warriors go up 2-1 with a chance to end this series at home with their best players now playing their best, and a defense led by a guy that’s locked in ready to take down LaMarcus Aldridge, Anthony Davis, and whatever you want to throw at him. Game 4 is the Warriors oppurtunity to put a strangle-hold on the series, Golden State is favored by 8 points, info from the safest gambling sites. Tomorrow we find out there are no more answers left for Houston. Hell, there never should have been a question. fb on LeBron James to the Bay Area: Why?